After nearly a year of rumour, conjecture and speculation, the news was finally confirmed – Samsung has officially announced a foldable phone. 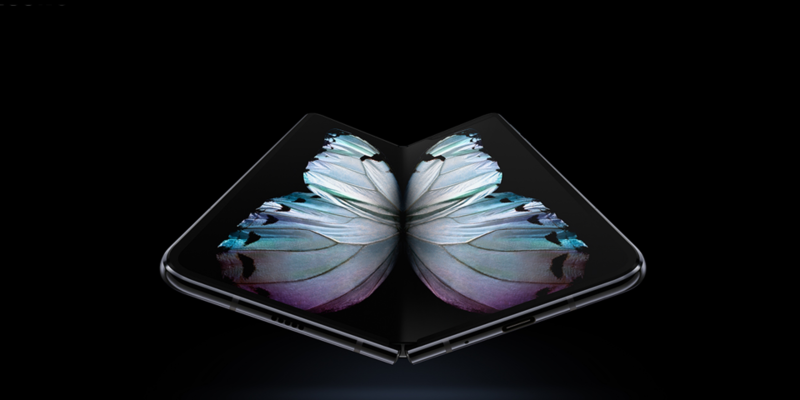 The Samsung Galaxy Fold is the ‘future’, according to the tech giant, but with an eye-watering price and the distinct look and feel of a first-generation innovation, the jury’s out on whether the Fold is a gimmick, or a game-changer. With Apple, Huawei, LG, Motorola and Xiaomi all reportedly working on worthy adversaries, can folding smartphones offer a genuinely superior experience compared with ‘normal’ mobiles? And are they even mobile phones at all, or simply portable tablets? Samsung says that its attention-grabbing Galaxy Fold is perfectly suited if you enjoy gaming on the go, or need a ‘powerful new way to multitask’. It features Samsung’s largest-ever smartphone display at 7.3 inches, and opens and closes like a book. The screen is ‘around 50% thinner than the typical smartphone display’ and gives the Fold its flexibility. Samsung has managed to squeeze in a built-in fingerprint sensor on the side of the phone/tablet hybrid, and says a ‘sophisticated hinge with multiple interlocking gears’ is hidden away to give the Fold an elegant look. A one-of-a-kind phone needs an interface to match. Samsung says it has carefully designed the Fold’s UI (based on Android 9.0 Pie) to have up to three active apps open at once on the main display. If you open an app while the phone is closed up, that app will expand when you open up the Fold. On the specs sheet, you’ll spot a whopping 12GB of Ram and 512GB of internal storage, along with a sizeable 4,380mAh battery compatible with fast charging and wireless charging. You won’t be short of cameras – there are six in total. Three snappers sit on the back, with the trio made up of a 12Mp lens, a 12Mp telephoto lens and a 16Mp ultra wide lens. A 10Mp front-facing selfie camera stares at you when the main display is tucked away, but when you open it up you’ll see two more – a 10Mp selfie camera and an 8Mp RGB depth camera. The Samsung Galaxy Fold will be released on 3 May in Europe. 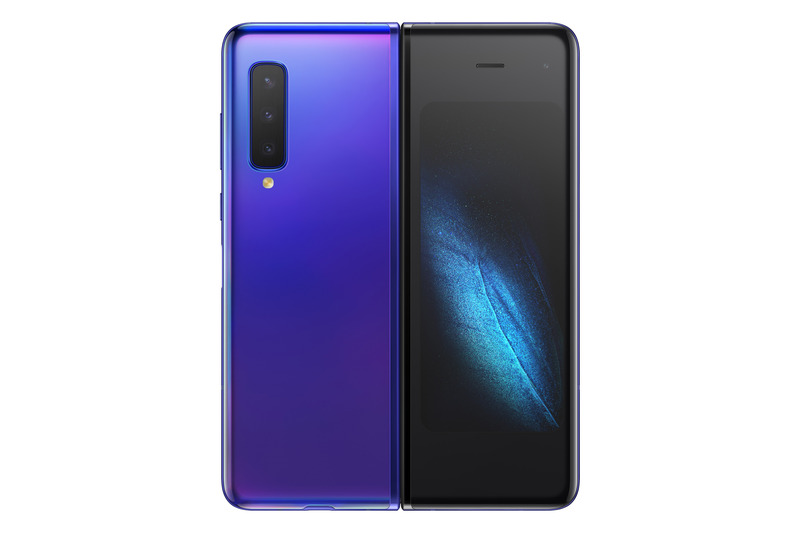 You’d better start saving up now if you’re interested, as we expect the folding phone will cost around £1,500-£1,700 when it lands in the UK. What are the benefits of foldable smartphones? Perhaps surprisingly, there doesn’t appear to be a ‘killer app’ for foldable smartphones, or at least not yet. The sorts of benefits you can expect are pretty similar to those of a tablet, though if you like the idea of multitasking on a device smaller than a tablet but bigger than a single-screen phone, a foldable smartphone could make for a good middle ground. It’s possible to split a single screen into sections on a modern smartphone, but having a separate screen for each job would give you more room to breathe. Video playback would benefit of course, along with graphical design, and as we’ve seen on Samsung’s Galaxy Fold, being able to move from a small screen to a much bigger screen instantly could be handy if you’re switching from one task to another. We can imagine typing up an email on the front screen and then opening the phone up to read the newspaper, for example. Ultimately, we think tech brands will have to make foldable smartphones portable, affordable, and uniquely useful before interest can really surge. Consider that right now you could buy one of Samsung’s brand new phones and a top-of-the-range tablet for less than the Fold, and it’s easy to see why Samsung’s newest innovation could be restricted solely to early adopters. Chinese tech maker Royole rolled out the Flexpai ahead of CES 2019, and the world-first mobile quickly became one of the most talked about products at the showcase. The phone has a 7.8-inch screen, which essentially splits into two when the Flexpai is closed up. It’s powered by a Snapdragon 855 chip and has a 16Mp and 20Mp camera set. Unlike the Galaxy Fold, the Flexpai is ready to order right now, and it’s a touch cheaper than its Samsung rival. You can go for 128GB of storage for £1,209, or 256GB for £1,349. But a game-changing design can’t keep the critics at bay. The ‘awkward’ Flexpai has come under fire with some complaints over a ‘very slow’ interface and ‘wonky’ touch sensitivity. Xiaomi’s nameless, shapeshifting smartphone has two fold points on either side of its central display, and although details are scarce, the device is clearly more portable than Samsung’s Galaxy Flex. Not much is known about the ‘Dual Flex’ at this point. Back in January, Xiaomi co-founder Lin Bin shared a hands-on video on social media, but there’s still a chance this specific product will never go past the concept phase. 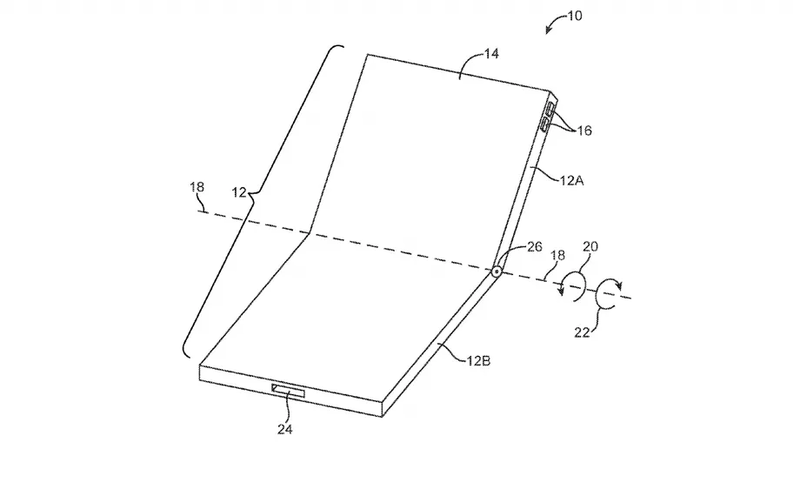 A patent application published earlier this month suggests that Apple has plans of its own for a foldable future. The legal filing spotted on the US Patent and Trademark Office website describes a device with hinges that can ‘fold in half or in thirds’. At the time of writing, Apple hasn’t made an official statement on its plans for a foldable smartphone or tablet. Mobile World Congress (MWC) 2019 kicks off on Monday, so we could potentially see some more foldable smartphones making their debuts. Huawei, LG and Motorola are said to be experimenting with foldable smartphone design, so watch this space. Will foldable phones be the ‘next big thing’? 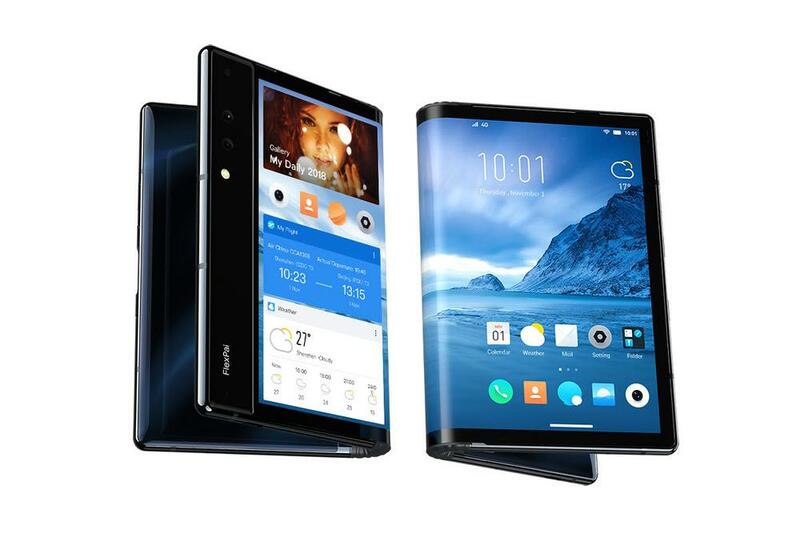 With so many big-name brands experimenting with foldable smartphones, we could see a wave of these devices hit the market in the not-so-distant future. Samsung looks to have built the most complete foldable experience right now, but its first attempt isn’t without its faults. We’re not a fan of the small display on the front of the Galaxy Fold, for example. With 2019 being the year of bezel-banishing edge-to-edge displays, seeing empty space on the front of the Galaxy Fold seems odd. Closed up, the Fold also looks far too big to fit into your pocket. At $1,980, the Galaxy Fold certainly won’t be an option for buyers on a budget. We’re not too sure you’re getting great value for money at this stage, either, especially when you consider you could buy a Which? Best Buy mobile and Best Buy tablet separately for a lower price overall. This year’s Samsung Unpacked event was crammed with product announcements. Alongside the Galaxy Fold, the tech giant also showed off its updated Galaxy S10 range, made up of the Samsung Galaxy S10e, Samsung Galaxy S10 and Samsung Galaxy S10+. Take a look at our hands-on video below to see the phones in action, or see our full story on the five best things about the new Samsung Galaxy S10 range.